After a hiatus, we are back for the finishing stretches of the coverage of the filmmaker responsible for Three Outlaw Samurai, Hitokiri and Onimasa. The next to last episode have us stopping in 1983 and the multi award winning drama about a geisha appropriately called The Geisha. With Kenny B and special guest, co-host and author Robin Gatto. 00m 00s – Intro/Robin Gatto interview. 75m 35s – The Geisha review. The George Lam Defaming Sessions come to an end! Is George Lam Or Lame? Find out in the triple review, bumper pack finale! First up, George Lam and Sammo Hung are forced to become juvenile detention career advisors in The Owl Vs Bumbo. In A Queer Story George plays a gay man struggling with his sexuality and we end on a festive note with the rare sight of a Hong Kong Christmas movie. It’s George as a scientist teaming up with Margaret (yes, Margaret) Cheung and John Shum as they are chased by cartoon villains looking for their drink that’s a bomb in… It’s A Drink! It’s A Bomb! With Kenny B and Phil G of Eastern Film Fans! 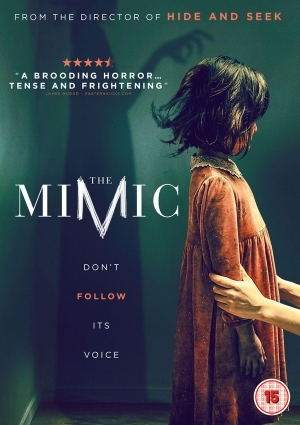 Korean urban legend wrapped in a horror package with some emotional oomph to it, which means we’ll examine if Huh Jung’s The Mimic strikes a balance between approachable local and international horror. With Kenny B and Hangul Celluloid’s Paul Quinn. The Mimic is out now on dvd and digital HD from Arrow Films and we thank them for providing the screener for review. 00m 00s – Intro/Huh Jung’s directorial output so far. 21m 52s – The Mimic review. Choi Min-sik may say he’s a bad guy in Springtime but this is as far removed from any scenes involving hammers or eating live animals on screen. 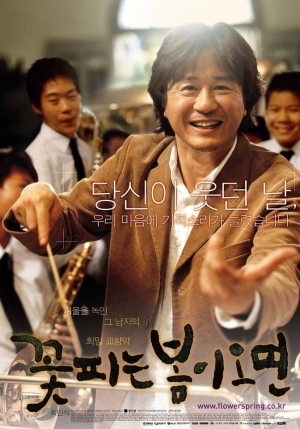 No, Choi Min-sik gets taken down a notch, brought into warmth in Ryu Jang-ha’s 2004 drama. With Kenny B and Paul Quinn of Hangul Celluloid. 00m 00s – Intro/Ryu Jang-ha bio/discussion. 18m 33s – Choi Min-sik bio/discussion. 47m 35s – Springtime review.